Herbs – Welcome to Huang Acupuncture! Herbal medicine , also called botanical medicine or phytomedicine, refers to using a plant’s seeds, berries, roots, leaves, bark, or flowers for medicinal purposes. Herbalism has a long tradition of use outside conventional medicine. It is becoming more mainstream as improvements in analysis and quality control, along with advances in clinical research, show the value of herbal medicine in treating and preventing disease. Herbs can treat a wide variety of diseases and conditions. Comparing with chemical medicine, Chinese herbal medicine is much more gentler and safer because it is made of natural herbs. Most of Chinese herbs do not cause side effects. Even some side effects that do occur among a few herbs, those side effects can be easily counteracted with other herbs. For these reasons, people turn to herbal therapy for a number of indications. 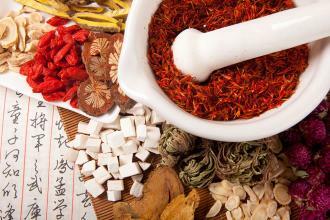 More and more people rely on Chinese herb medicine as alternative after chemical medicine failed. Many people with chronic illness may take a number of different conventional drugs daily. Chinese herbal medicine is a very good alternative for those who are looking for a natural alternative for the conventional western medicine. There are many very efficient Chinese herbal patent medicines and prescribed herb formulas for the medications taken for pain syndromes, gastrointestinal disorders, neurological disorders, stress related syndromes, respiratory disorders, heart problems, sexual dysfunction, allergies and immune system deficiencies, as well as replacements for antibiotics and anti-inflammatory drugs. Chinese herbs are safer and less side-effects. Actually they can be taken to reduce the side effects of other medication such as antibiotics, chemotherapy, etc. It is well known that antibiotics weaken the immune system. Herbal therapy can strengthen the system. Also, during chemotherapy, the white blood cell count drops, which causes fatigue, lack of energy and appetite. Herbal therapy has proven quite successful in relieving the side effects of chemotherapy. People may take Chinese herb medicine for disease prevention. For instance, for a person suffering from frequent headaches, taking herbs to prevent the headache from ever starting is a much better option than taking a pain reliever after the fact. Herbs are also used to prevent the flu, menstrual cramps and premenstrual syndrome, among other things. For health maintenance- Herbal therapy can also be used for general health maintenance. Tonic herbs are used to increase energy and to slow the aging process. They are also used for enhancing sexual energy and for cosmetic purposes. Herbs arc also used to treat minor symptoms that are not severe enough for heavy chemical drugs, symptoms that cannot be diagnosed by Western medicine, and symptoms and illness that are not easy to treat, such as mononucleosis and immune system deficiencies.